The ”Weggemeinschaft St. Benedikt“ is an open Christian community. People of different origin seeking God in connection with Zisterzienserkloster Langwaden. Since 2002 the community developed. 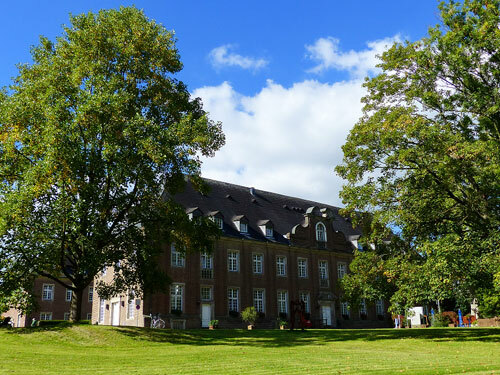 Monthly day retreats and one weekend retreat a year give us the opportunity to get to know the Cistercian spirituality and to let it bear fruit in our everyday life. The aim of each meeting is to be on our way with Christ, praying, learning more about our faith and trying to become familiar with the Rule of St. Benedict and Cistercian roots. Celebrating the Eucharist marks the centre of each meeting. Meditation and compline of the community in the parish every Monday evening (everybody invited). The membership is open, there is no promise. The community is supported by monks of the Zisterzienserkloster Langwaden, as well as by several external priests.